Composition – Where to cut off a portrait | Portrait Photographer based in Eindhoven, the Netherlands. To some people it may look weird or unpleasant, but to me it looks just fine, especially because it allows to place the eyes somewhere nearby the 1/3 of the frame. But while I like to cut off the forehead, I avoid cutting off in the middle of the chin or of the hand. So are there any rules to crop a portrait ? – Do not cut on a joint like the knee or the elbow. – Hands are fully in the picture or not at all. 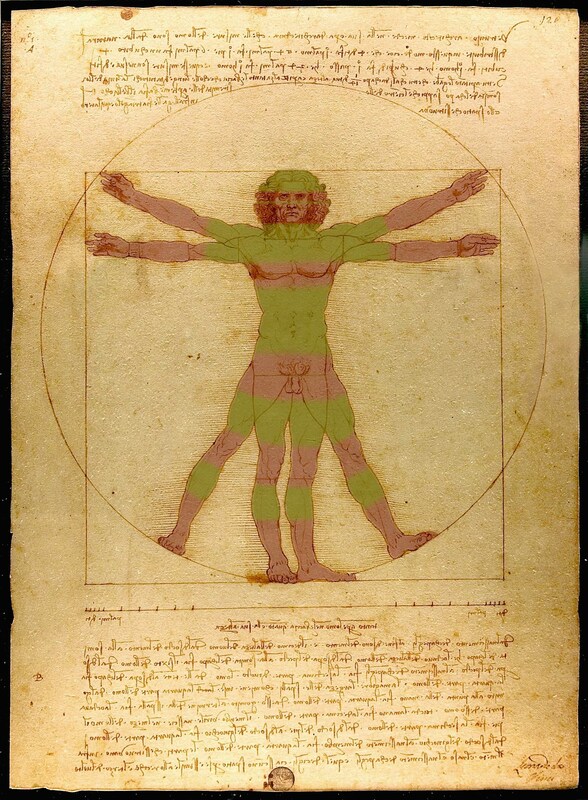 The picture below is a revisited Vitruvian Man from Leornardo Da Vinci, I have highlighted in green the area where it is common to cut off, and in red where it is not recommended. This subject is rather controversial, so do not hesitate to leave your opinion in the comment section.